Today's young players have benefited greatly from working with chess computers. There is little doubt that advanced software and electronic training programs have significantly contributed to the rise of the overall standard of play. But there is a downside as well. Many young chess players see the computer as the ultimate answer to nearly everything. They think that computer analysis is the best and fastest way to find the truth in any position on the board. Inevitably, those players have gradually stopped thinking and analysing for themselves. The prominent Russian chess trainer Alexander Kalinin argues that what you need to make real progress is not more computer input, but increased understanding. To fully digest all available data and to discover the ultimate secrets of chess you must dislodge your decision making from your addiction to the computer and (re)develop the habit of using your own brain. Kalinin helps players seeking the master title by showing how concrete knowledge leads to improved decisions at the board. He stresses the essence of the classics and the importance of human interaction in reaching analytical mastery. Kalinin provides a wealth of training material. The vast majority of his examples has never been published before. 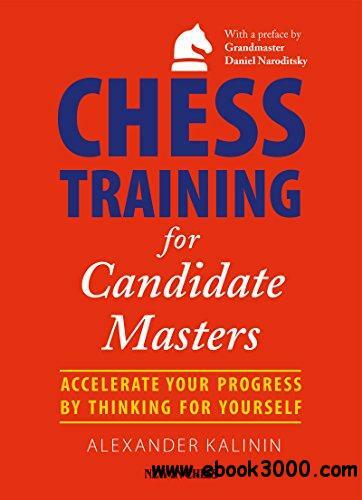 He reveals the mistakes he himself made as a candidate master and mostly uses games of players who themselves are on the road to chess mastery.